We recommend 68-70 for heating and 76-78 for cooling. Adjust your thermostat for a 15 degree temperature differential between indoor and outdoor temperatures for maximum comfort and energy efficiency during the cooling season. Should I keep my furnace fan running? Yes, continuous fan operation costs a little more, but will even out temperature in your home, especially in multi-level or two story homes. When I go away for vacation, what should I set the thermostat at? Set your thermostat to 55 and have someone check your home each day during extreme weather. It is not necessary to cover you're a/c. If you do, be sure to maintain air circulation through the unit to prevent condensation. A properly designed cover from the manufacturer will not only fit your unit exactly, it will also allow proper air circulation. 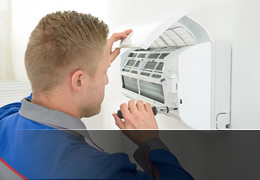 We recommend yearly maintenance for your furnace an your air conditioner. We recommend inspecting and cleaning your filter or air cleaner, on a monthly basis, if needed. How long should it take to cool a hot house down to 78? The length of time to cool a home depends on how hot it is outside and how long the unit has been off. Your air conditioner may run non-stop when outdoor temperatures are over 95. If it is 90 outside at 5pm, and you return home and start cooking, your air conditioner may run to 10pm or later before shutting off. Is my unit big enough? 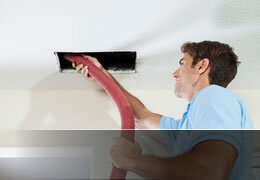 If we installed your system, we have sized your duct system, furnace and air conditioner for comfort and efficiency. If we did not do the installation, we would be happy to schedule a free estimate. Where do I set my humidistat at? Your humidistat should be turned off for the summer. Set your humidistat at 35% for the winter and adjust as needed. If moisture starts to form on your windows, lower the settings and raise it for more humidity. Humidifiers should be cleaned each year and the pad replaced. 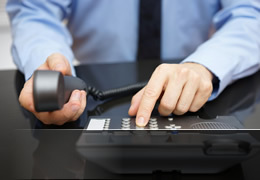 This cleaning is provided with our bronze agreement. Depending on usages, maintenance and model, you're a/c should last about 14-17 years. On average, your furnace should last fifteen years. Once again, the model, usages and maintenance affect how long a system will last.